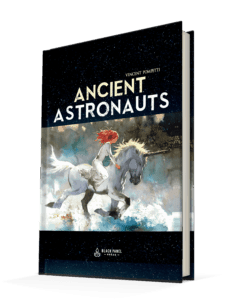 Subscribe to download your FREE Ancient Astronauts preview. Sign up to the Black Panel Press newsletter for exclusive previews, discounts, and news about upcoming titles. Unsubscribe at any time. Black Panel Press is an independent publisher of foreign graphic novels. Sign up below for free comics, discounts, and news about upcoming titles.